Dr. Janniger, who was born in the Baltic seaside resort-town of Sopot, Poland, is an alumna of the Medical University of Warsaw. Following an internship at the Albert Einstein College of Medicine, Montefiore Medical Center, Bronx, NY, she took her dermatology residency at the UMDNJ-New Jersey Medical School in Newark, NJ, where she is currently Clinical Professor of Dermatology and Chief of Pediatric Dermatology at New Jersey Medical School. She maintains a private practice in Wallington, NJ. She is a prolific writer, having produced four monographs, 35 book chapters, and over 150 scientific journal contributions. 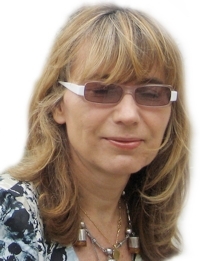 Her other editorial board memberships include: Mikologia Lekarska, Serbian Journal of Dermatology, Indian Journal of Pediatric Dermatology, Dermatologia Kliniczna, Cutis, and eMedicine Dermatology. Dr. Janniger is a member of Sigma Xi and Fellow of the American Academy of Dermatology.